A Canadian court cleared the way for China’s most-wanted fugitive Lai Changxing to be sent home to face expected criminal charges. “The life of the applicant is in the Chinese Government’s hands,” ruled Judge Michel M.J. Shore of Canada’s Federal Court, citing a Chinese proverb. China earlier promised not to sentence Lai to capital punishment if he is tried and found guilty. Canada, which does not practice capital punishment, prohibits the return of prisoners to countries where they might be put to death. There was no immediate word from Lai’s lawyers about whether the court ruling will be appealed. “We welcome this decision by the Canadian court,” said the Chinese foreign ministry in a statement issued from Beijing. Lai remained behind bars Thursday night, after a separate court ruling overturned an order by the Immigration and Refugee Board to release him. Canadian officials told the court Lai could be sent home as early as the weekend. If an appeal is not launched, or fails, the ruling will end Lai’s 12-year battle to remain in Canada. The case has soured diplomatic relations between the two countries, and pitted Western ideas about human rights against China’s treatment of prisoners. Canada’s government has repeatedly tried to send Lai to China, and he’s been called a “common criminal” by politicians and judges. However, until now the independent courts and Immigration and Refugee board had blocked his deportation on human rights grounds. “In regard to the validity of the assurances of the Chinese Government, a proverb often related in ancient China puts it well. A child, who, once, wanted to outwit his teacher, asked his teacher, “Is the bird which I have in my hand alive or dead?” The child thought if the teacher answered, “The bird is alive”, he would crush the bird; and, if the teacher would say it is dead, he would let it live. The teacher answered with a great understanding for both the child and the bird, “The life of the bird is in your hands, my child.” — Judge Michel M.J. Shore, of China’s assurances not to mistreat Lai. Lai fled here with his family in 1999 after being accused in China of running a $6 billion (US) smuggling ring based in the city of Xiamen in Fujian province, bribing officials, and avoiding paying taxes. Lai admitted to Canada’s Globe and Mail newspaper, in a 2009 interview, that he had taken advantage of perceived loopholes in Chinese law at a time of murky custom regulations. Earlier this month, a key risk assessment by immigration officials cleared the way for his return, after they ruled Lai would not risk death or torture if sent home to China. Thursday’s ruling rejected the prisoner’s appeal of that risk assessment. His lawyer, well-known human rights advocate David Matas, has warned repeatedly that Lai would risk death or torture in China, despite the country’s unusual diplomatic assurances to Canada. However, “it is assumed that the assurances of the Chinese government … will be kept,” the judge added. The ruling said China’s “honor and face” would be at stake during the lifetime monitoring of Lai. Lai’s wife and children had previously returned to China voluntarily, and suggestions that Lai was talking to China about also returning became a factor in Thursday’s ruling. Wrote Shore, “it is apparent that Mr. Lai has been negotiating his return to China with the Chinese authorities. This willingness to engage in negotiations to return to China belies the alleged risk of return to China. At a detention hearing by the Immigration and Refugee Board early this week, a Vancouver police officer testified that an informant told him that Lai had been involved in illegal gambling and loan sharking activities in 2009, and had associated with members of a criminal gang known to police. EPILOGUE: Lai was extradited to China on July 22, 2011, and arrested in Beijing July 23, 2011. 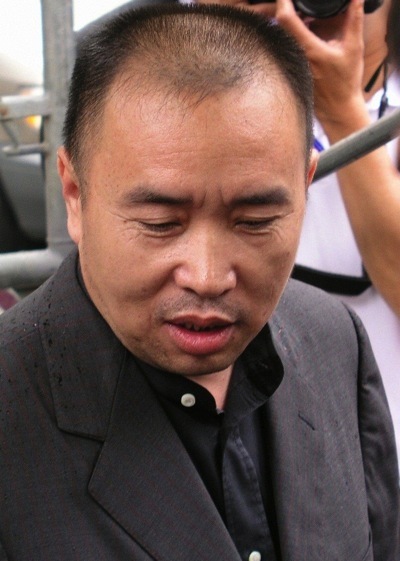 He was sentenced May 18, 2012, to life imprisonment for smuggling and bribery, and had all his property confiscated, by the Intermediate People’s Court in Xiamen.